This level has easy difficulty as you already complete lot hard level previously. 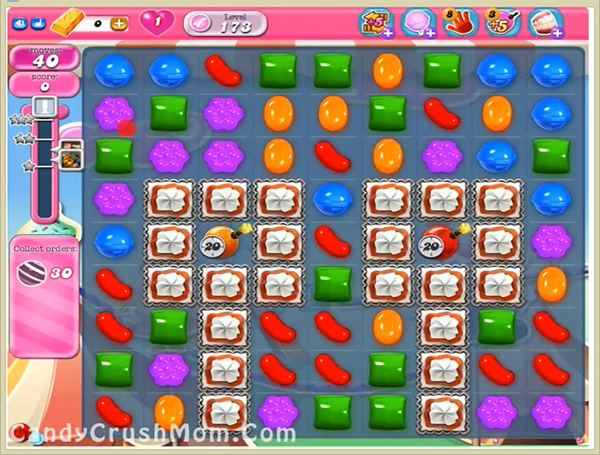 For this level you should try to play near to blocker to break them so candy board could have more candies to play. Then start to make striped candy or make colorbomb. Then try to make colorbomb with striped candy to reach requirement more easily. We completed this level with 138000 score using striped candy plus colorbomb combo and completed level with two star score.